The Yurch Funeral Home has been in business for 100 years serving Parma and the surrounding communities. 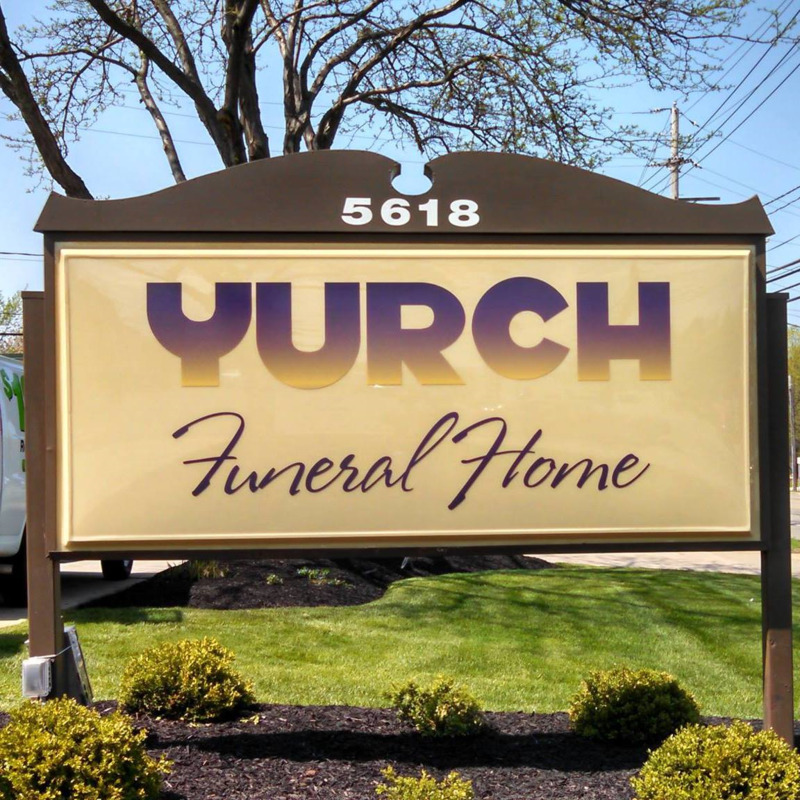 Jerome Yurch and Yurch Funeral Home are proud of its family owned and operated traditions. Our story started in 1917 on Cleveland's West side, where Alex Rusynyk opened a funeral home to serve the growing immigrants from Eastern and Southern Europe. In 1942, the funeral home was renamed, Rusynyk-Yurch Funeral Home when Michael Yurch joined the funeral home working with Alex's son, Steve. 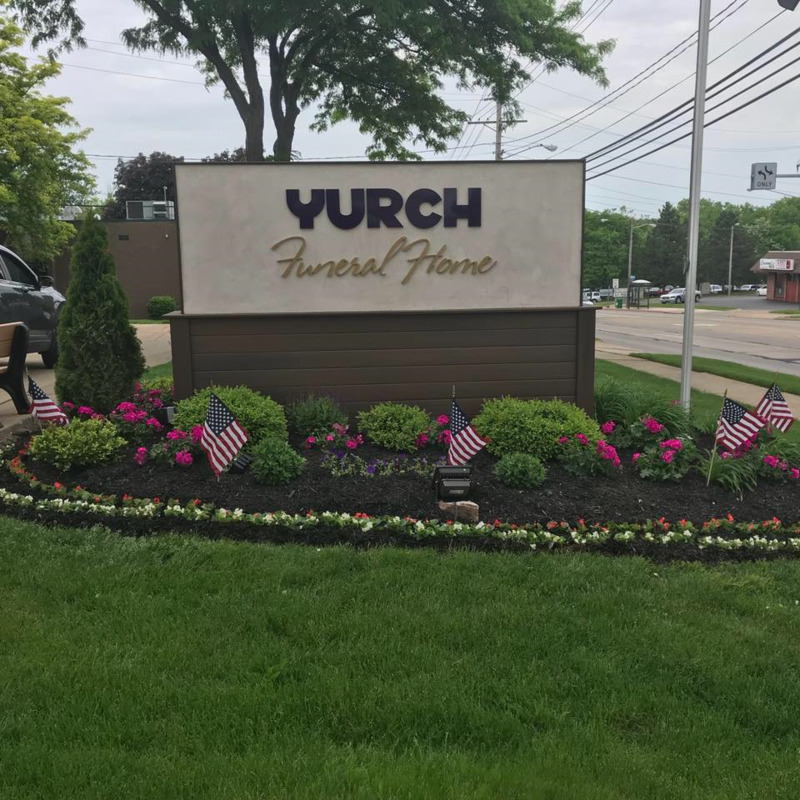 Following the retirement of Mr. Rusynyk, the funeral home was again renamed, Yurch Funeral Home and continued its service for the near west side communities of Cleveland. Under the leadership of Jerome Yurch, who started working along side his father in the business in 1971, he relocated the funeral home in 1973 to its current location on Broadview Road to again bring the business to the growing immigrant communities of Parma, OH. Yurch Funeral Home's tradition as a family owned and operated funeral home continues today. In 2014, Jason and Crystal Jardine merged resources with Yurch Funeral Home and will be bringing the care and compassion associated with the families they have served at Jardine Funeral Home in Strongsville, Ohio for three generations to Yurch Funeral Home. The Jardine's would like the community to know that Jerome will continue to be a part of the daily operation of Yurch Funeral Home. Jason and Crystal would like to thank the Yurch family and staff for the trust placed in serving the Parma community and appreciate the support of Jerome and his family. People have been asking if Jerome would ever retire and who would run the business in the future. Jerome has laid plans to continue the business for the future. The first step was to merge with Jason and Crystal Jardine and their organization. Jerome and Bud will continue running the funeral home on a daily basis; Jason, Crystal and their staff will be working with us and supporting us. When it comes time for Jerome to pull back and slow down, it will be Jason and Crystal Jardine and Bud Linder who will be heading the operation. Jerome will continue to support them and work with them, just as Jerome’s father, Michael, supported him for many years and helped transition the business into the next generation. My name is Bud Linder and I have been serving families for over 43 years in the funeral industry and I have been part of Yurch Funeral Home for over 20 years. I graduated from The Ohio State University and Cincinnati College of Mortuary Science. The Parma area is a great area to live in. I enjoy being part of this community and getting to know so many people. I believe, as a funeral director, it is important to make sure how we take care of families the way they want. Every family is special and unique and we want them to be as comfortable as possible during such a difficult time. My name is Jason Jardine. I have lived in Strongsville my whole life except for some of my college years. I have been licensed and dedicated to the family business for sixteen years now and I am heavily involved in the succession planning along with plans for the future success of my family business. The move to our new, state of the art facility was due largely in part to my awareness of the changing funeral industry. Because of the changes the funeral industry is faced with, I am continually trying to make sure that we adapt to those changes and have programs and services to offer families. I truly enjoy honoring the Veterans in our area. The stories and experiences they share with me and everyone in our office are priceless. My name is Crystal Jardine and I am a licensed funeral director as of April 2012. I have lived in Strongsville since I was 5 and am a graduate of Strongsville High School. I obtained my bachelors degree in Business from Baldwin Wallace College and earned my MBA in Accounting from Case Western Reserve University Weatherhead School of Management. In 2014, my husband, Jason and I became the owners of Yurch Funeral Home. Together with Bud, we completely remodeled the facility and became more engaged with the community and the surrounding churches. It is an excellent community and it's an honor to help families through such a difficult time. My grandfather, Michael Phillips, was in the US Army during World War II. He was awarded a Silver Star for his heroic effort while under heavy German counterattacks in Mt. Rutundo, Italy on November 10th, 1943. Also, my dad served in the US Navy and I have an uncle who served in Vietnam. Jason and I are the proud parents of 3 children - Jake, Julia and Jesse and 2 fur babies. My name is Sam Harmon, I have been working at Yurch funeral home for the last 3 years. I am currently a Funeral Director Apprentice. I grew up in Berea, Ohio and graduated from Berea High School in 2008. I attended The Ohio State University and Cleveland State University and graduated with a degree in Political Science. I attend St. Matthew Antiochian Orthodox Church in North Royalton, where my dad is the Priest. I am currently the Vice Chairman of the Church’s Parish Council. In my free time, I like to play volleyball, basketball and to go on hikes with my parents’ dog Izzy. I enjoy reading about history, politics, and religion, and keeping up with the current movies and music of the day. At Yurch Funeral Home, we focus on honoring Veterans and we all have taken the time to learn about Veterans in our own family. My grandpa, Leon Harmon, served in the U.S. Navy during World War II. He was on a LCIM ship (Landing craft infantry mortar ship), which is basically a landing craft transformed into a gunboat. He fought at Iwo Jima and Okinawa and received a bronze star for valor during his campaign in the Pacific. He went into the Navy not knowing how to swim and ended up saving sailors that were drowning after their ship was destroyed by enemy fire. I never met my grandpa but am very proud of his service and his sacrifices he made to keep the United States of America the greatest country on the Earth. My name is Diane Desmone. I am single and own a home in Parma where I have lived most of my life with the exception of a 2 year stint in Los Angeles where I worked as a motivational speaker. I’ve spent 20 years in sales and obtained my Bachelors Degree in Business Administration from Baldwin Wallace College in 2006. I am proud to be from a large Italian family of 9 with an extended family of Veterans. My father, John Thomas Desmone, was in the U.S. Army during WWII along with his brothers Lou and Tony. His other 2 brothers, Richard and William had joined the Navy. Dad fought in the Battle of the Bulge and earned a Purple Heart and Bronze Star. My Mothers 2 older brothers, Joe and Frank, also fought in WWII. Joe Costanzo was a Master Sargeant in the Marines, earning several medals including an engraved bronze star. Frank Costanzo was a private in the Army. Both of my Grandfathers fought in WWI. My mothers sister, Philomena, worked for the war effort as a civilian in general accounting. I began my career in the Funeral Industry as a Pre-Need Specialist and Family Service Provider back in 2014. I got into this business shortly after my siblings and I experienced the trauma of planning a funeral for my mother who died unexpectedly at the age of 75. She had never shared her wishes with us. As a result, to this day, I still wonder if we had made the right choices for her. As a Pre-Need Planning Specialist, I have been educating families on the importance of planning ahead of time to insure your financial and emotional needs are met at the time of the death of a loved one. Let me help create a personalized and meaningful life celebration without stress. I’m dedicated to providing helpful counsel that meets your needs and helps provide some peace of mind. You never know what life will bring. Being prepared can make all the difference in the world to your loved ones!